Today is August 29, just another day in late lazy summer for most. 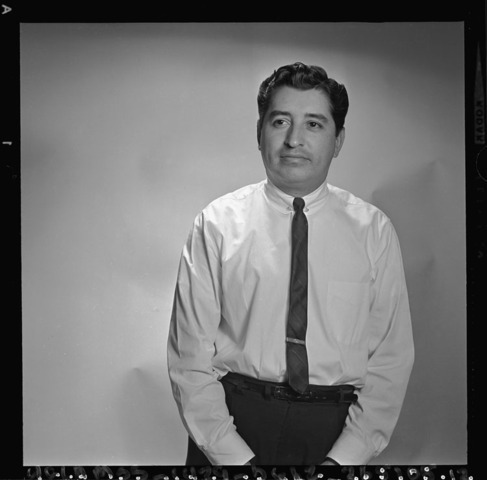 But for faithful students of history, Aug. 29 is the anniversary of the historic Chicano Moratorium march against the Vietnam War in 1970 in East L.A. Sheriff's authorities brutally repressed the demonstration, resulting in the death of trailblazing journalist Ruben Salazar. He was fatally struck in the head by a tear gas projectile while inside the Silver Dollar Bar on Whittier Boulevard. Salazar's death marked a dark turning point in the movement and in our city's long, unfortunate history of repression on the part of law enforcement, which haunts us to this day. Killed while practicing his craft, Salazar's name is engraved on a placard in the grand main lobby of the L.A. Times building on First and Spring streets downtown, along with those of other Times journalists who have died on the job. I remember passing the names often on my way between the streets and the Times newsroom while I worked there. (This brings to mind the journalists currently dying on the job in Iraq.) Salazar is also memorialized at the former site of the Silver Dollar, as seen at ELAGuide.org, an engaging web project of guided virtual tours of East L.A. Here is the About page. You can read directly from "Border Correspondent," Salazar's collected writings, at the California Digital Library. The California Chicano News Media Association now gives out Ruben Salazar journalism awards. His legacy continues to guide many journalists and writers working today. And will, I believe, for generations to come. * Links: Moratorium wiki, Sonoma State University, Salazar wiki, "Border Correspondent." Read more on the Chicano Movement and its actors in Carlos Muñoz, Jr.'s essential history, "Youth, Identity, Power," recently revised. * Photo above from the UCLA Digital Library.